Although the kids are out for school, the rest of us aren't (except for you lucky teachers!) So when it comes to dressing appropriately in the middle of the summer, it can become a bit tricky. Thankfully, we've found two outfits you can take inspiration from to achieve a cool look during work hours, without sweating off your makeup. Olivia Culpo gives us our first idea in a printed chiffon dress with black mary-janes. The chiffon is breathable and feminine. 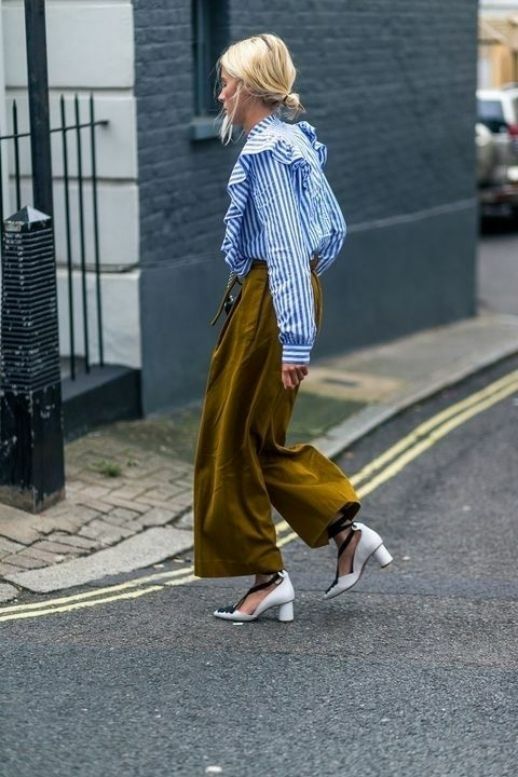 For option number two, go for a ruffled striped blouse, loose fitting trousers, and funky heels to make it fashionable.